Visually stylish and quality-driven, Georgio Building Company is committed to providing a world-class building experience for every client. We capture the spirit of each project by understanding a client’s vision, providing superior construction, collaborating as a team, and supporting the client relationship long after the completion of a project. Our expertise in design, cabinetry and custom home construction will be evident from the very first meeting. To provide affluent Westchester and Fairfield County residents with a luxury lifestyle home that appeals to their sophisticated style and taste, and explores the essential components of daily life in these unique suburbs. excellence: We always give our best as we relentlessly reach for, and achieve ever-higher levels of quality, service, and efficiency. Perfection is an achievable goal at Georgio Building Company. passion: We work with an energy and enthusiasm that comes from believing in what we do, giving more than necessary, and doing whatever it takes to get the job done. integrity: We conduct our business, and our lives, by the yardstick of honesty, fairness, and respect; and are fully committed to fulfilling our promises. completeness: We finish each project that we start, and we check and recheck the details along the way to ensure that quality exists. In 2000, Robert Georgio left his successful career in the designer footwear industry to pursue his childhood dream of building homes. He founded Georgio Building Company and broke ground on his first home in Rye, New York later that year. 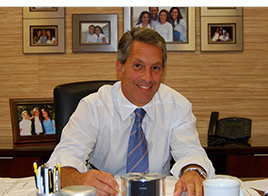 Today, Robert is considered one of Westchester and Fairfield Counties most prominent builders and specializes in luxury development and custom homes. Robert oversees all bidding, sales, and marketing. He continually meets with clients, designers, and architects as they search for innovative ideas to incorporate into luxury homes. As a seasoned professional in construction and development, Robert ensures the success of all projects from groundbreaking, to design, to move-in, and beyond. He has developed a keen sense of customer service and a “concierge” type of approach to current and past clients; guaranteeing their satisfaction long after construction has been completed. After fifteen years, his impeccable reputation remains and Georgio Building Company has expanded into new endeavors. In an effort to complete his vision and maintain the same quality standard as his construction company, Robert launched a custom cabinetry division and showroom located in Rye, NY. Georgio Cabinetry produces beautifully creative and highly functional kitchens, butler’s pantries, libraries, spectacular bathrooms and more. Over the past few years, Robert has been renovating and building rental properties in Rye, using the same innovative design and superior construction that define his luxury homes. Georgio Homes currently owns and manages 12 apartments and 1 single family home.